This shop was compensated by Collective Bias, Inc. and its advertiser. All opinions are mine alone. Hover over the above image to shop directly from this post! Tis the most festive time of the year! I love to find little ways to celebrate all December long, especially by bringing people together. 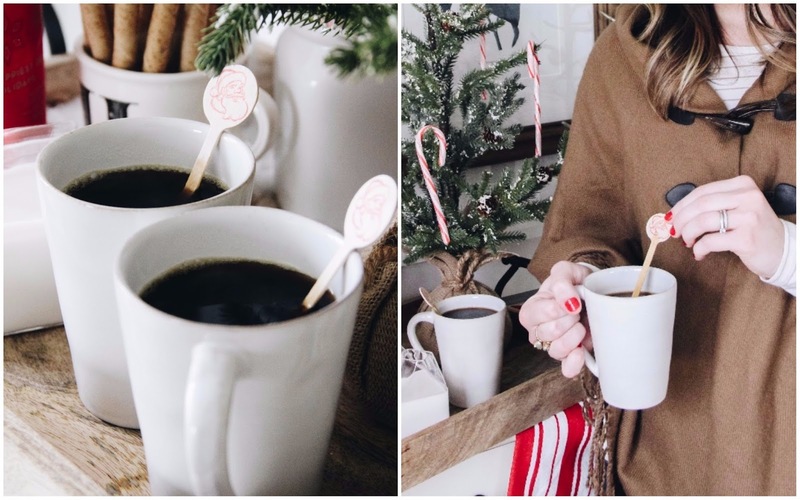 And what better way to get into the holiday spirit than hosting a little coffee soirée? 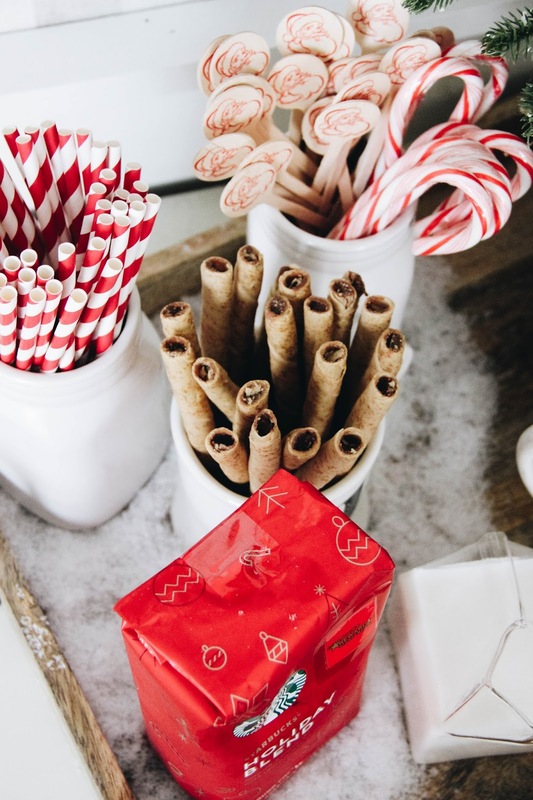 Whether it's a couples' get-together or with your best gals, this is an easy way to spread a little cheer and enjoy some quality time during the holiday season. 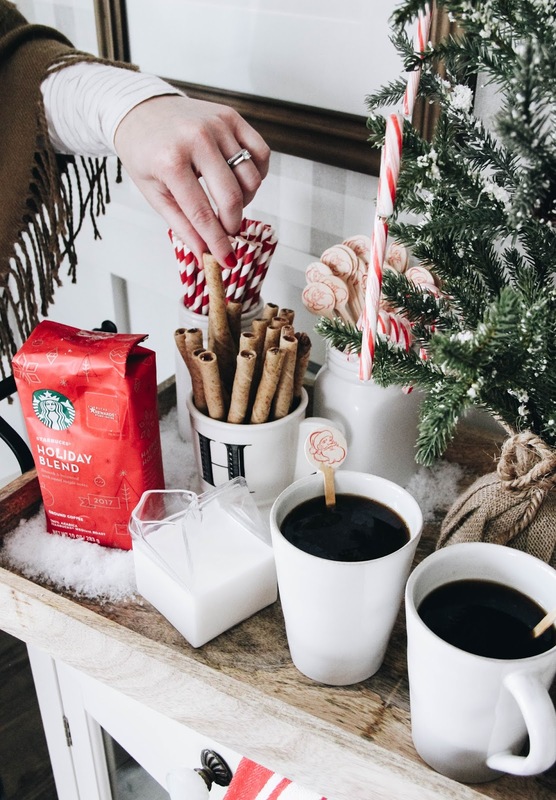 So send out the invites, throw up the twinkle lights, and prep the perfect holiday coffee tray. 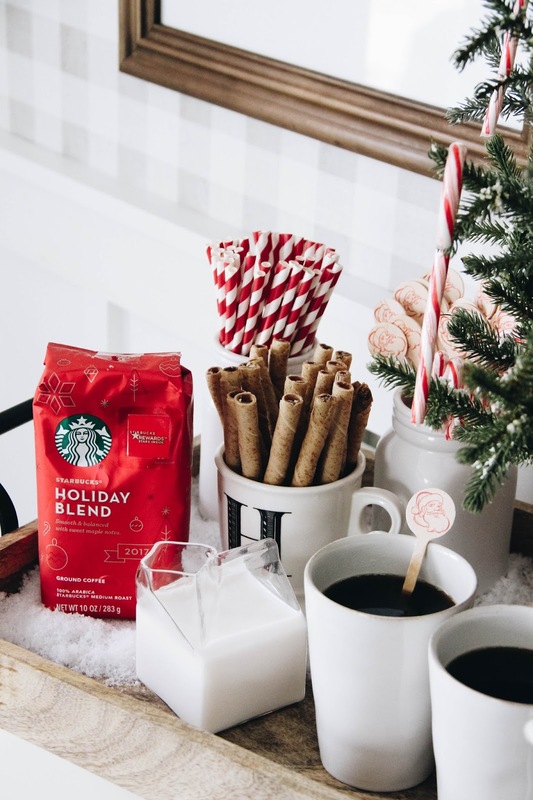 With a little red, some faux snow, and Starbucks® Holiday Blend, your tray will be sure to delight. Put down a thin layer of faux snow. I only covered a corner of the tray to keep some variance in texture. 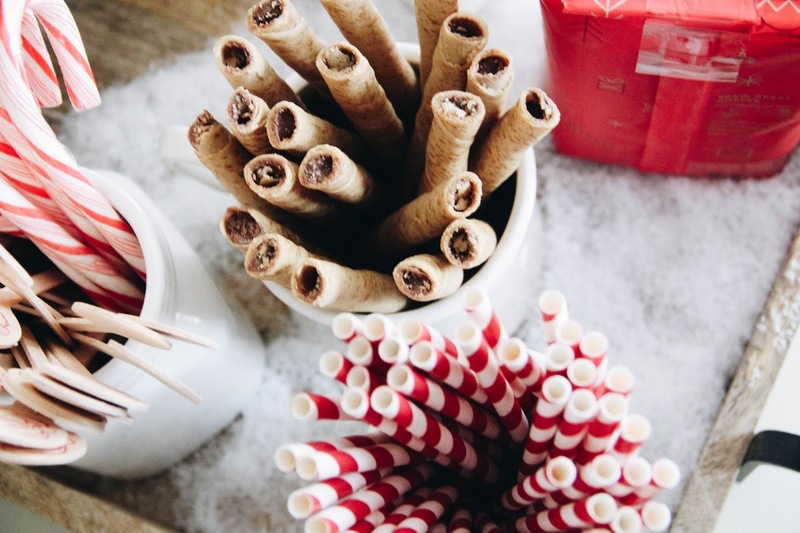 Add straws, stir sticks, candy canes, and cookie stirrers to different jars. I used two white mason jars + one coffee cup. This little differentiation is a fun way to make your coffee tray stand out. Use a fun container for your creamer, and set that out in the "snow" too. Add a faux pine tree (or other similar accent piece) to enhance the holiday feel. If you feel like it, add candy canes to the tree. Set out your coffee cups. Lastly, add your bag of Starbucks® Holiday Blend ground coffee to the tray. 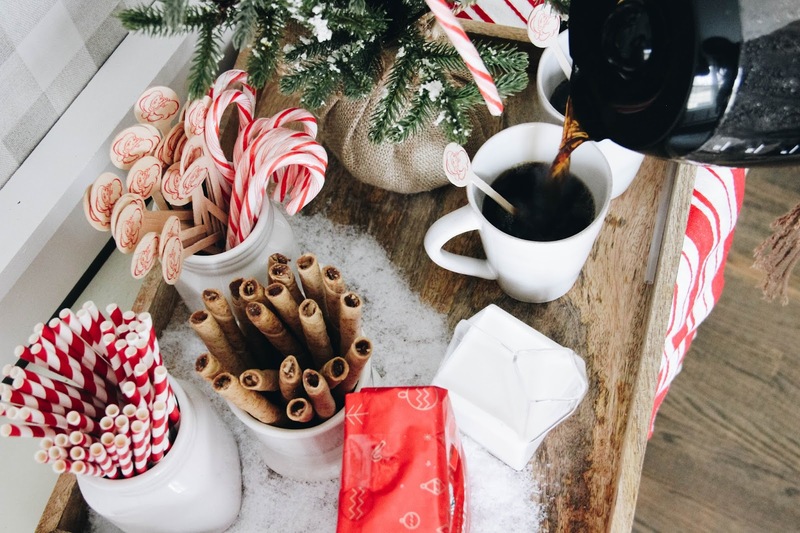 Its pop of red is not only festive, but it's a fun way to tell your guests what type of coffee you're brewing. They can check out all of the information about the coffee right on the bag! For me, it's all about the details and turning something ordinary into something a little more spectacular. Just taking it up a notch and displaying items in fun ways is an easy way to spruce up anything. For this coffee tray, I kept the season in mind and went with a red and white theme. 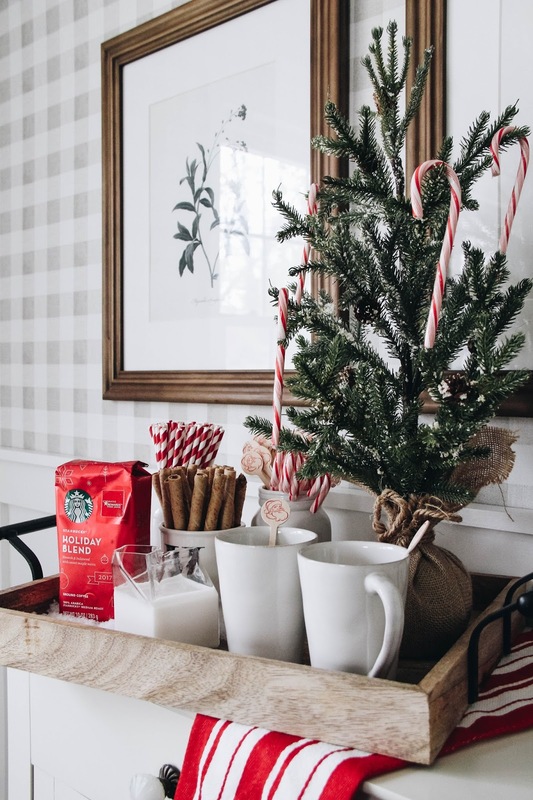 I used the Starbucks® Holiday Blend red for inspiration and went from there! From wooden Santa coffee stirrers to a sweet cookie treat that could be used as a stirrer too, my tray came to life. But it wouldn't be complete without the most aromatic coffee brewing in the background. 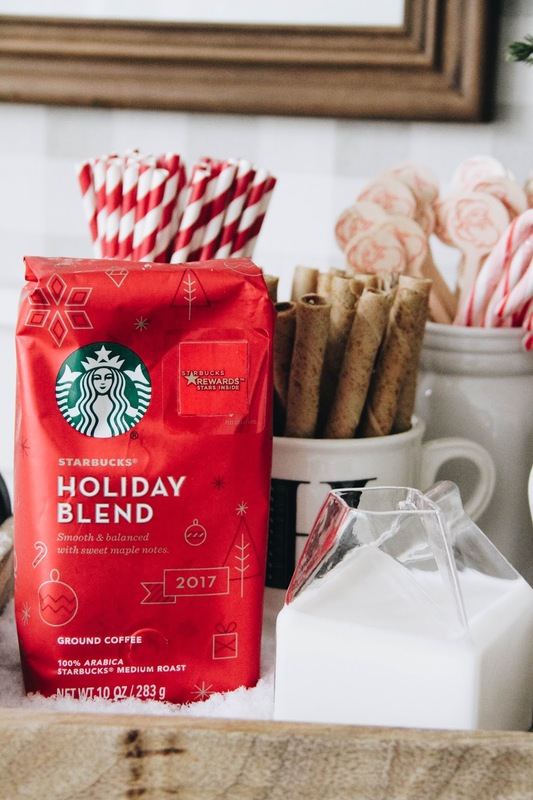 We love Starbucks® Holiday Blend ground coffee, it's a favorite in our house, and it's just the right brew for this time of year. And really, the smell couldn't be lovelier. Pair it with your favorite creamers and toppings or opt for black if that's more your style! Now settle in with your family and friends to enjoy the time together! Cheers! 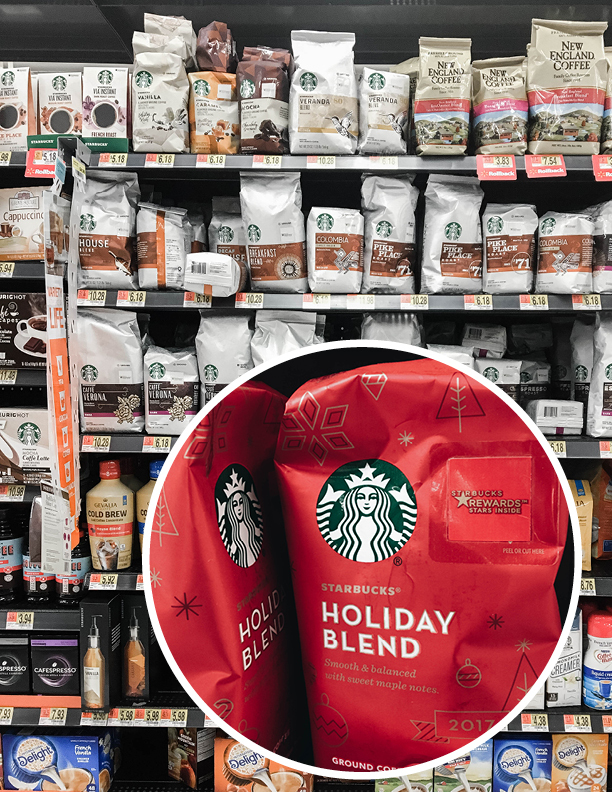 You can find the 10 oz bag of Starbucks® Holiday Blend ground coffee at Walmart in the coffee aisle. Purchase three qualifying Starbucks® packaged coffee, Starbucks® K-Cup® packs, VIA® Instant, Starbucks® Syrups, or Starbucks® Cookie Straw packs products in single transaction at Walmart stores from November 1 - December 26 and receive 75 bonus stars when you upload your receipt at Starbucks-stars.com.